Making an American Cruise Lines application is an opportunity for a great career within the hospitality industry. The inland waterways and rivers of the USA are where the company has established their business having begun with only six small ships. To search for American Cruise Lines jobs online use the links supplied at the bottom. American Cruise Lines are adamant in guaranteeing a warm, relaxed and fulfilling experience. The purpose is to provide an intimate environment perfect for relaxation where the passenger may set his own pace and take in the unique and excellent service at their disposal. The quality of the crew members and masterful service provided is meant to make the customer’s experience flawless. There is a variety of offers from which to choose from. There is the possibility of the Mississippi River cruises that includes New Orleans Round Trip, Memphis to Nashville and others, the Southeast US Cruises that include Historic South, Civil War and New Year, among others, The Alaska and Pacific Northwest Cruises, the Northeast US Cruises and the Special Theme Cruises. 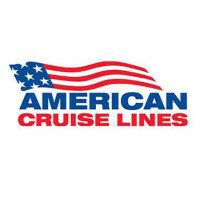 American Cruise Lines jobs offer exciting career options in a customer service oriented environment where you may strive by having a positive and hardworking attitude. Intensive training is provided to get you settled into the fast paced setting in which you will be required to work. The travel aspect of the job will also provide opportunities to meet new places. American Cruise Lines careers are divided between Shipboard and Corporate jobs. The company’s headquarters can be located in Guilford, Connecticut where you can apply online for jobs in sales, operations, marketing recruiting and financing departments. However, another sales department can be found in Sandy, Utah. Within your shipboard options you can find short and long time roles if you have the right attitude. That means, hard work and long hours, but also traveling while saving money and a positive outlook and personality. How old do you have to be to work at America Cruise Lines? When researching American Cruise Lines application you will find that the minimum age prerequisite is 18 years old. There are many career opportunities for summer vacation jobs will help developing skills and experience. With other positions, that include more demanding responsibilities and will ask for experience, the age requirement will most likely be higher. Benefits will vary according to the career you apply for. These may include medical, dental, insurance, 401k, few expenses on board, accommodation and meals and travel within the different cruises that are on offer. American Cruise Lines careers hours of operation are twenty four hours a day, seven days a week. While completing your free application you must check your job opportunities for the schedule requirements and pay close attention to whether you feel will be able to perform them with no problem as some may imply long hours with hard work. Galley Stewards / Dishwashers – This position requires working alongside the Chefs and requires no experience. Tasks include washing dishes and silverware, trash removal and keeping the galley clean and tidy. The company will expect you to work hard, do long hours and commit to an excellent service. The salary for this job will be between $700 and $1000 per week. Deckhand – Training is provide for this job seeing as it implies participating in steering the ship, participating in docking and anchoring maneuvers, loading the passengers’ luggage, maintain lifting lines and laundry among other tasks that will help with maintaining the ship and the customers happy. The pay for a position just as this should be between $700 and $900 per week. Licensed Boat Launch Operator – This occupation requires at least a 25 ton USCG license. Some of the responsibilities associated with it are tendering passengers and crew between the ship and the shore while at anchor, participating in steering the ship, helping with docking maneuvers, standing watches and maintenance as well as others. Salary for this job will potentially be between $700 and $900 per week. Hotel General Manager – This position will involve some experience. Duties will include supervising the food service department, the kitchen, the housekeeping department, shore excursions and entertainment department and sales among other tasks, always working towards guest satisfaction. The salary estimate for this position should be over $30000 a year. After you apply for jobs at America Cruise Lines, the next step is to prepare yourself for the interview by studying questions as the ones bellow. How do you overcome objections? When answering this question focus on making sure you put the customer’s happiness first and work towards resolving any inquiry in a satisfactory manner. Take this opportunity to talk about your qualities as a people person. Are you able to work long hours? This will be a requirement for most of the positions within this company. Make sure when applying you only do so for jobs that you are sure to be able to perform. Therefore, if you applied for a position with a long hour requirement, you will have to answer this question with a yes and if necessary give examples of previous experience. Tell me about your previous job. Explain in detail, if possible, how your previous job is relevant for your present applications. Focus on tasks and duties that match the ones in the job description for American Cruise Lines jobs and talk about what you felt helped you in completing them. Why do you want to work with us? While searching for a suitable American Cruise Lines job application online, take some time to visit the company’s about page and know more about it so that you can find what most appeals to you. That information will be helpful to answer this question. Do you have any more questions? Asking questions about the position you are applying for or the company will make you stand out by showing interest. Before you go to the interview take time to write down what you would like to know and why you feel it would be important so that you are prepared for this question. There is a printable application for American Cruise Lines. You can choose to download application form to take your time looking and filling it correctly with all the information required. You may also use printable application form if you are local to any of the company’s operation areas and wish to make a direct application. Update your resume before you supply it to your potential future employee and make sure all the information provided within it is relevant and correct. When hiring, employers like to see applicants who pay attention to their image and behavior. These qualities, along with your updated and relevant resume should help with your chances of employment. Knowing how to apply for America Cruise Lines online is crucial if you cannot get to one of the company’s locations with ease. Follow the link bellow to find all the information you need as well as your career options. While conducting your online application make sure you cover all of the requirements within the application form and re read what you have written before submitting. The American Cruise Lines job application online is straightforward and easy to fill in. To make a lasting impression be sure to demonstrate appreciativeness and respect for the company at every step during the hiring process. Focus on your qualities and what you find is relevant it terms of the company’s values and demands. Qantas Airlines: Checkout the application page for work at Qantas Airlines. Hawaiian Airlines: See this page for jobs at Hawaiian Airlines. Malaysia Airlines: Checkout the application page for work at Malaysia Airlines. Royal Caribbean International: Visit the Royal Caribbean International application. Holland America Line: See our guide for careers at Holland America Line.